running composer command to install laravel installer, but it didnt work, the process stuck, the lines only showed "changing directory to bla bla" . then I install composer from the official website, add the PATH in env variables, running the command again and it worked. the same occurs with npm, when i am using the npm from laragon i cant use "npm install". the console displayed error. then I install the ones from Node official websites, adding to PATH, and it did work normally. Which Laragon version are you using? Can you show me show images? I am using the terminal from Laragon main window. This is the screenshot for the npm error. And this is the location of the npm package. 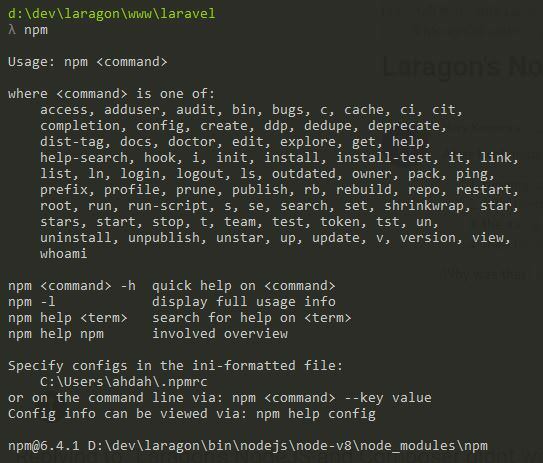 When I use the other terminal (not Laragon), there is no error because the terminal use other npm I installed from the official website (the location of npm is different). As for the composer problem, I already install the ones from the official website so there is no error anymore (i dont want to uninstall it right now, maybe later, to provide the screenshot). @Hary-Kamaro : Thanks. Let me check and get back to you soon. 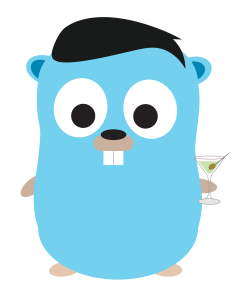 @Hary-Kamaro : I've updated Laragon 3.5.1 to fix the issue with npm (Laragon installer ignores any data dir). I don't see any issue with Composer. Many thanks for your notification!